READY NOW!!! Come view the beautiful Seascape villa located in the desirable Boyette Park community in Riverview, Fl. 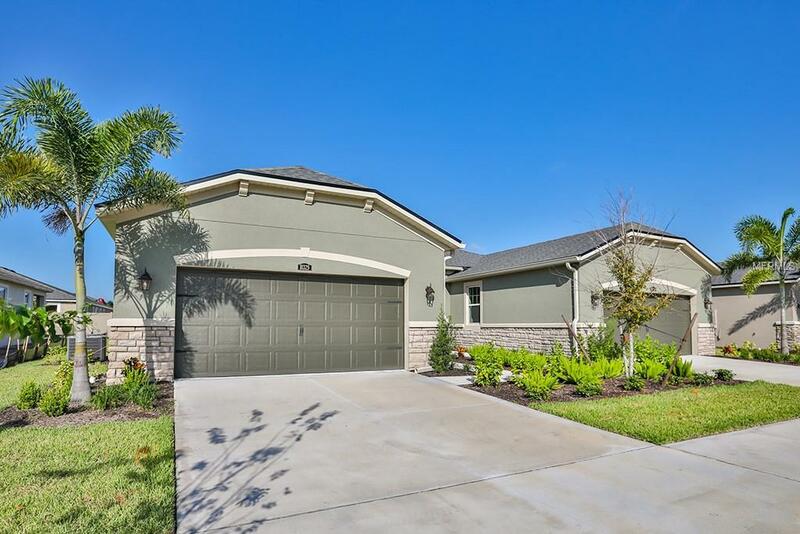 This home boasts an amazing location with easy access to shopping, dining and recreation, and an easy commute to Tampa and MacDill Air Force Base. As you enter you'll be greeted with 18 x 18 tiles through out your kitchen, gathering room, dining room, and flex room! The owners suite boasts a large walk-in closet and a beautiful tray-ceiling, master bath has enclosed shower with seat . Enjoy cooking dinner in an open concept kitchen with a walk-in pantry, island, breakfast bar, 42 inch Linen cabinets and Zodiaq quartz in Storm Grey counter tops! Huge screened in Lanai with patio extension only adds to your living space. Lots of extra features through out. You have to see this villa! Boyette Park provides a gated community, with a resort style pool, open air cabana, grill and fire pit.